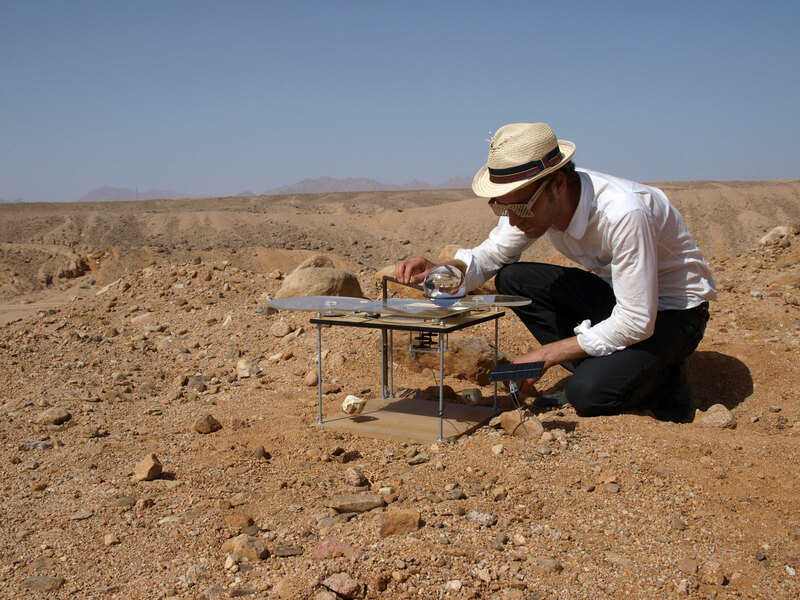 This week Markus Kayser wowed us with his amazing Solar Sinter 3D printer, so we were thrilled to learn that the designer has also created an ingenious sun-powered laser cutter. Dubbed the Sun Cutter, the low-tech laser cutter harnesses the solar energy to create intricate industrial designs anywhere the sun shines. The machine focuses a ball lens to cut pre-programmed shapes in paper, cardboard, and plywood up to 0.4mm thick. Kayser has also incorporated pre-digital machinery by using a cam system to control the shape of the cut, which is set in motion by a small motor driving a timing belt. The entire process is powered by solar energy. 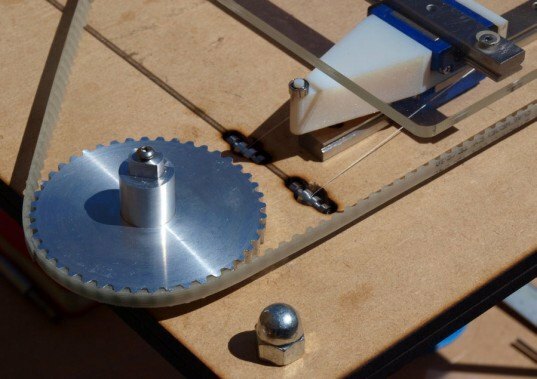 The machine focuses a ball lens to cut pre-programmed shapes in paper, cardboard, and plywood up to 0.4mm thick. Kayser has also incorporated pre-digital machinery by using a cam system to control the shape of the cut, which is set in motion by a small motor driving a timing belt. The entire process is powered by solar energy. Developed as part of the design products masters course at the Royal College of Art, Kayser’s amazing work combines environmental consciousness and progressive design. 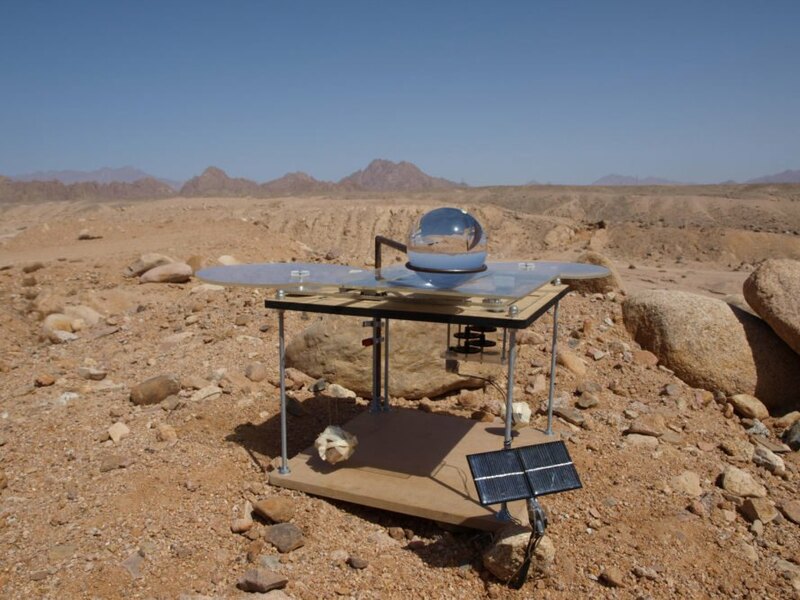 The solar-powered machine harnesses sunlight to power the cams. Kayser's laser-cut sunglasses are cut from the same pattern, however each pair is unique.